Mark Weatherford is SVP and Chief Cybersecurity Strategist at vArmour. He has more than 20 years of security operations leadership and executive-level policy experience in some of the largest and most critical public and private sector organizations in the world. Prior to vArmour, he was a Principal at The Chertoff Group and in 2011 was appointed by President Obama as the DHS’s first Deputy Under Secretary for Cybersecurity. Before DHS, he was VP and Chief Security Officer at the North American Electric Reliability Corporation (NERC). Prior to NERC, he was appointed by Governor Schwarzenegger as California’s first Chief Information Security Officer (CISO and was also the first CISO for the State of Colorado. 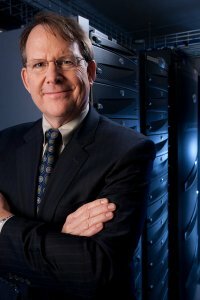 A former U.S. Navy cryptologist, Mr. Weatherford led the United States Navy’s Computer Network Defense operations and the Naval Computer Incident Response Team. Mr. Weatherford holds a master’s degree from the Naval Postgraduate School and holds the CISSP certification. He was awarded SC Magazine’s “CSO of the Year” award in 2010, named one of the “10 Most Influential People in Government Information Security” by GovInfoSecurity in both 2012 and 2013, selected for the 2013 CSO Compass Award, and presented the 2017 SC Media Reboot ‘Influencer’ Leadership Award. Copyright © 2019 Rochester Security Summit. All Rights Reserved.